Shalon Irving, a public health researcher who worked for the Centers for Disease Control and and Prevention who was studying the physical toll that discrimination exacts on physical health, died just a few weeks after giving birth to her daughter, Soleil. 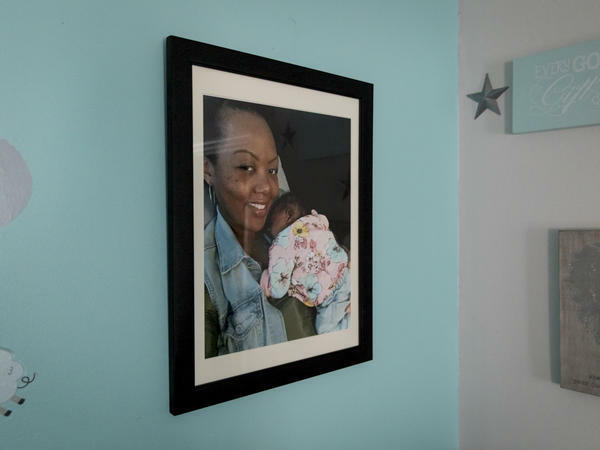 Black women are 243% more likely than white women to die during or shortly after childbirth. It was later, during her graduate studies, that Geronimus came up with the term weathering — a metaphor, she thought, for what she saw happening to their bodies. She meant for weathering to evoke a sense of erosion by constant stress. But also, importantly, the ways that marginalized people and their communities coped with the drumbeat of big and small stressors that marked their lives. At first, lots of folks in academic circles rolled their eyes at her coinage, arguing on panels and in newspapers that poor, black communities had worse health outcomes than better-off white communities because of unhealthy life choices, and immutable genetic differences. But as the science around genetics and stress physiology became better understood, Geronimus' "weathering" hypothesis started picking up steam in wider circles. CS: Can we get into the science of weathering a little bit? AG: There have been folk notions and laypeople have thought that health differences between populations — such as black versus white in the U.S. — were somehow related to differences in our DNA, that we were, in a sense, molecularly programmed to have this disease or that disease. But instead, social and environmental factors, can through what's called DNA methylation, which occurs — I don't know how technical you want to get — but that occurs when a group of molecules attach methyl groups to specific areas of a gene's promoter region, and either prevent the reading of certain genes and sort of forms the gene's product, and you have genetic expression of that gene. That's a pretty powerful idea, and it sort of refutes the kind of more DNA-centric one, that you are destined by the literal DNA you have to have certain diseases or not. But what I've seen over the years of my research and lifetime is that the stressors that impact people of color are chronic and repeated through their whole life course, and in fact may even be at their height in the young adult-through-middle-adult ages rather than in early life. And that increases a general health vulnerability — which is what weathering is. I heard an interview with Emerald Snipes Garner, who was talking about the death of her beloved sister Erica. She used a metaphor that I think would also be a great description of weathering. She talked about the stresses that she felt led to Erica's death at age twenty-seven as being like if you're playing the game Jenga. They pull out one piece at a time, at a time, and another piece and another piece, until you sort of collapse. I'm paraphrasing her, but I thought that Jenga metaphor was very apt because you start losing pieces of your health and well-being, but you still try to go on as long as you can. Even if you're disabled, even if it's hard, that you have a certain tenacity and hope, and sense of collective responsibility whether that's for your family or community. But there's a point where enough pieces have been pulled out of you, that you can no longer withstand, and you collapse. CS: When you coined the term weathering, there was a lot of pushback. Where was the locus of that pushback? AG: There were actually several loci. Many in the medical community really seemed to think that there was just something intrinsic or genetic: that black-white differences in health must be [caused] by some hypertension gene. Or if it wasn't a literal gene back in Africa, then maybe something about how hard the Middle Passage was, that people who survived it had this gene for salt retention. It's been very well debunked both on anthropological grounds but also on if you compare hypertension rates, for example, between American blacks and blacks in the Caribbean. The American blacks have far higher rates of hypertension, yet both [populations] went through the Middle Passage. Others didn't necessarily think in those terms, economists were thinking more behaviorally and sociologists sensed that there was an essential pathological culture that led to bad behaviors and weak families. And that was a very strong narrative in the '70s, '80s, and I think it's a narrative that still exists [today], though more contested. So this idea of weathering, and its metaphysical aspects, didn't sound technical enough, and it didn't fit any of those narratives. GD: What was that like for you when people were dismissing your work? AG: It was not fun! [laughs] It was very hard especially because some of them dismissed it very publicly. Another reason people dismissed it is that I first observed that young black women were more likely to have poor pregnancy outcomes if they were in their mid-twenties than if they were in their late teens. And this flew in the face of a lot of advocacy organizations that were working very hard to prevent teen childbearing. I think there was a Time magazine cover at one point that said, something like, "all social problems stem from teen childbearing." [The cover story's subhead read: "Teen pregnancies are corroding America's social fabric." — ed.] There was certainly a whole narrative that teen motherhood somehow caused perpetual poverty, lack of education, and poor birth outcomes. [But] the data spoke for themselves — that the risks were higher in black young women the later they waited to have children, and that was not true for whites. Whites, by comparison, had the lowest risks around their mid-twenties and the highest risk in their teens. GD: And the rates were higher because the black women who waited just a few years later were more weathered. AG: Exactly. The impacts on their bodies had been happening for a longer period of time. So when did this concept of weathering start to gain more traction? AG: It's been two steps forward, one step back rather than there being a time when it gained traction. It was a hypothesis for me at first and then I started with colleagues doing studies to test it. As the years went by, we had more and more studies that seemed to be consistent with it. In addition, I think the idea of stress — and not just, "I feel so stressed" but this broader sense of stress actually being this physiological process that impacts your health, or the strength of your various body systems — that became better understood sort of in the '90s. A variety of neuro- endocrinologists at Rockefeller University, and Robert Sapolsky at Stanford talked about these stress reactions, what they do to your body and how they happen. And I don't want to sound cynical, but because it was about physiological reactions in human beings, discovered by, you know, two men — it was many more men, and it was women, too, but the two people who got, I think the most credit, and deservedly, were men who were lab scientists — it had more credibility in our society than talking about weathering and lived experience and racism. GD: I want to go back to your Jenga metaphor. If weathering is this process by which the blocks are pulled away and your health becomes more and more tenuous, is there any way to put the blocks back? AG: It's hard to say. I certainly don't believe that there isn't anything that can be done. One thing that can be done and is done — and this benefits in particular people who are weathered but in the middle class or more highly educated — is access to healthcare. So you may be hypertensive from weathering but if you have good access to healthcare, you get diagnosed early, you get it treated. You learn what you need to do with your diet to make it a little less likely to turn into its more pernicious and life-threatening form. We've seen evidence, in some of our studies where we've compared blacks in very high-poverty areas to blacks in more middle-class neighborhoods, and what we've seen is that those in the higher-class neighborhoods do have much longer life expectancy than those in the poor neighborhoods. But they spend most of that extra life with chronic conditions and possibly disabled. Or, with a variety of morbidities than whites with the same incomes and educations, living in the same neighborhoods. So certainly, having a longer life expectancy and averting death and averting hypertension, or diabetes, or their complications are good things. But without dealing with the kind of more structurally rooted factors that lead to weathering across class, we're not going to end weathering.